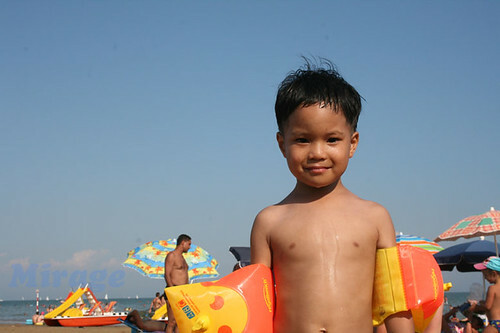 Anyway, we were in Italy (Lignano) for a week, reason why my son has ‘burnt’ skin. =) We went there along with my mil and bil and his family. We rented two apartments in a Villa which conveniently has a pool and is a short walking distance from the beach. My want to have my older son breath some fresh sea breeze took us to a trip 8 hours away from home. My mama always said that kids with bronchitis benefit well from breathing salt air. So it was a vacation and therapy of sorts in one trip. He’s the one suffering from bronchitis since 2006, it has affected his built a lot, he is thin for his age even if he has an appetite like mine. 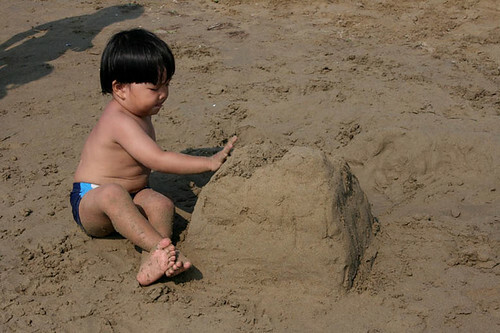 Trying to build a sandcastle. 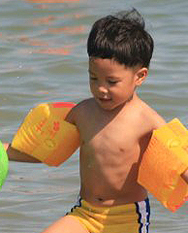 Youngest son, was so fond of playing with the sand, he stayed longer hours by the shore more than he did on water. All the more when he drank some saltwater lol. 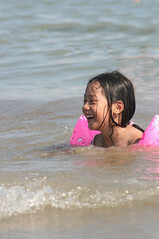 Twa’s a fun summer memory…glad that I saw my kids’ smiles. 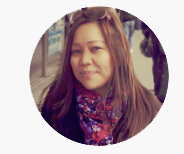 hi gizelle, these are wonderful shots! Hi ida! How are you, thanks, same to you! these are fun shots, G! 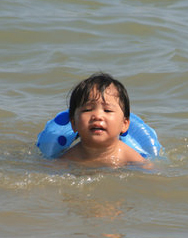 good to know you and your family had a great time at the beach. 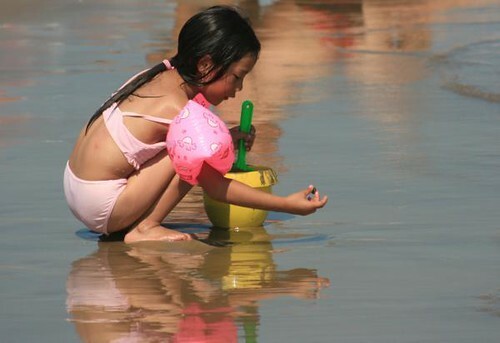 water seems to be a magnet for kids. a whole day at the beach didn’t seem enough when i was a kid—we always complained when it was time to pack up and go home. 😀 i hope your son is ‘healthier’ after this vacation. Hay. kulang ang 1 week doon, sarap pang kumain lol. glad kids had fun before classes began. and i am sure their momma has as much fun if not dipping her toes but for taking shots of her kids in action. Giz, thanks for sharing these photos. Na-enjoy ko talaga, nakikita ko sarili ko noong bata ako. 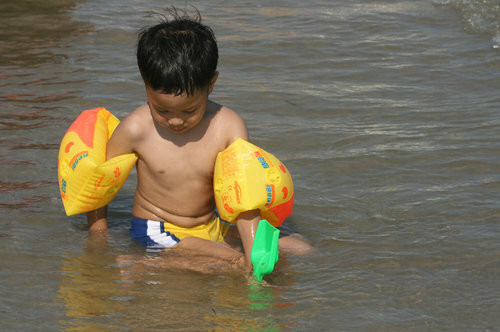 And I saw my kids as well, parang wala nang bukas kung magbabad sa tubig haha. great shots! mukhang enjoy talaga sila.